Using the Via app, passengers can book a seat in a shared vehicle to or from three major Los Angeles Metro stations. Photo courtesy of Via. The Los Angeles County Metropolitan Transportation Authority (Metro) and Via, a technology developer and provider of on-demand shared rides, have partnered to offer on-demand shared rides to certain transit stations. The project is funded in part by a $1.35 million grant from the Federal Transit Administration (FTA) for advanced technology to help bridge the first/last mile gap. Using the Via app, passengers can book a seat in a shared, dynamically-routed vehicle to or from three major Metro stations, according to the company. Via's app will match passengers with others going their way in a vehicle. Via’s fares will also be subsidized by Metro. Customers with disabilities — including those with service animals, wheelchairs, or other mobility aids or who need additional assistance to board — will be able to request rides that meet their needs, says the company. Via will collaborate with Metro's Office of Extraordinary Innovation to expand LA's mobility menu, improving access to public transportation, and providing an affordable and accessible way to Go Metro. 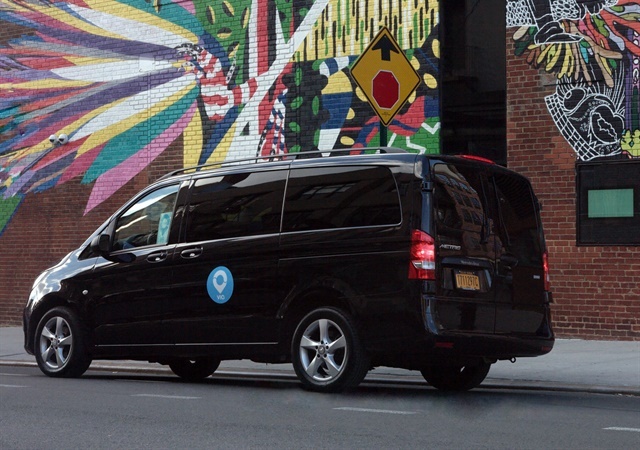 "Via's shared ride technology is perfect for connecting more people to public transit,” said Daniel Ramot, co-founder and CEO of Via. “Metro is committed to offering innovative services to the public, and we are excited to help Metro solve the first and last mile challenge and help millions of new passengers take advantage of other public transportation options." "We're making our systems more inclusive — because access to public transportation is a right, not a privilege," said Eric Garcetti, Metro chair and mayor of Los Angeles. "Everyone should be able to make a trip on Metro buses and trains, and these funds will help more riders get where they're going quickly and conveniently."